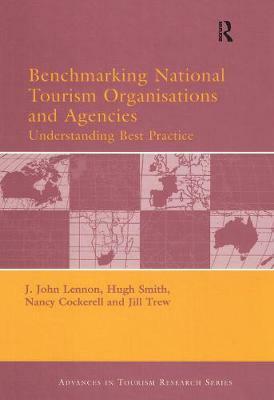 This book examines comparative performance and best practice in National Tourism Organisations/ Administrations from extensive research carried out in 2003 and 2004. It compares qualitative and quantitative data in order to ascertain best performance. Analysis is contained in detail for eight National Tourism Organisations based in four Continents, comprising: Australia, Canada, France, Ireland, The Netherlands, South Africa and Spain. Each country is examined and analysed in the following key areas: Travel and Tourism Performance, Organisation of Tourism, The National Tourism Organisation, structure, Role, Staffing and Offices, Resources and Funding as well as providing case studies of good practice. The book includes methodology of the research and provides discussion and comment of the main roles and success formula in comparable National Tourism Organisations. Benchmarking - A range of approaches. Current trends and isssues: The rationale for states' involvement in tourism. Trends in tourism performance. Structure, legal status and the role of NTOs. Australia. Canada. France. Ireland. Netherlands. New Zealand. South Africa. Spain. "...its authors deserve to be congratulated because of their contributions to this emerging field from the practical perspective."